Brent is an ABC Certified Prosthetist and Board Certified Orthotist. In recent years, Brent has become a leading expert in 3D printing processes and digital design. His expertise is sought after around the world as he begins providing consulting services. He began in the field of prosthetics in 1996 as an intern in fabrication techniques. He graduated from Appalachian State University with a B.S. in HealthCare Management and completed his education for prosthetics at California State University. Brent fulfilled his residency requirements at Hanger Prosthetics and Orthotics in Charlotte, NC. Brent is currently a full-time Prosthetist/Orthotist and Practice Manager for EastPoint Prosthetics and Orthotics in Raleigh, NC. 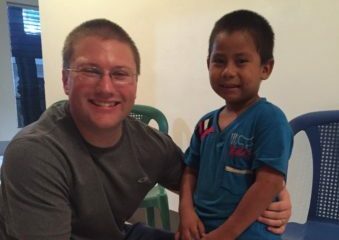 EastPoint shares the same values for overseas mission work, which allows Brent the opportunity to travel to Guatemala as the head Prosthetist for LifEnabled’s prosthetic clinics. Brent is also an active member of the North Raleigh Rotary and serves as a video and sound director at his church.